November 2018 is the first November since 2011 to not have either a James Bond, Marvel Cinematic Universe or Christopher Nolan movie bowing in its first two weeks. That means a usual source of reliable blockbuster box office in November just isn’t around this year. 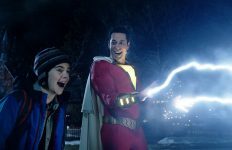 Luckily for the 2018 domestic box office, Bohemian Rhapsody was able to fill in nicely for those vacant titles (next weekends The Grinch should have a similarly prosperous opening) by opening to a fantastic $50 million, the second-biggest music biopic opening in history and the biggest opening weekend by a long shot for movie with an LGBTQIA+ lead, dethroning the $36.3 million opening of Interview With A Vampire, which has held the record for 24 years. That atter achievement would feel more like an impressive accomplishment if the film itself didn’t treat Freddie Mercury’s sexuality in such a retrograde manner, but at least this is another piece of proof that movies explicitly marketed with LGBTQIA+ leads aren’t box office poison. 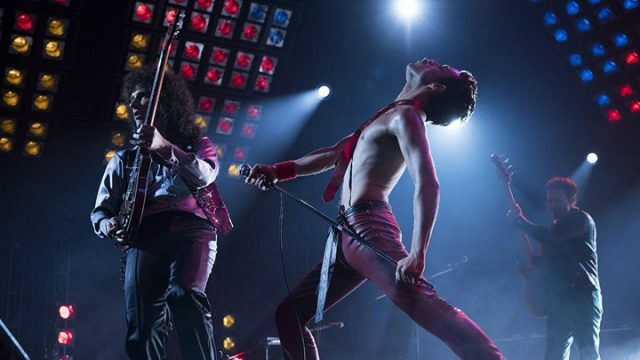 Though music biopics don’t usually translate into massive box office successes (only seven of them have cracked $50 million domestically before now), few of them were about a band as widely popular as Queen, which resonates with all age groups. A film promising to explore the dynamic personality of Freddie Mercury was always a box office slam-dunk and 20th Century Fox cemented this with a great marketing campaign that leaned heavily on the bands similarly iconic music. With an A CinemaScore at its back and a fruitful holiday week coming at the end of the month, Bohemian Rhapsody should be able to crack $150 million domestically, which would be enough to make it the second biggest music biopic in history. Getting off to a way less successful start this weekend was The Nutcracker and the Four Realms, the newest big-budget effort from Disney to prove that just because it’s expensive and aimed at families doesn’t mean it’s guaranteed to make large sums of money. 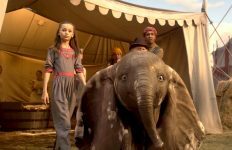 Grossing only $20 million on opening weekend, this $130 million budgeted title came in far below the biggest recent live-action Disney fantasy titles the studio was clearly channeling in its 10-month-long marketing campaign. With a whole wave of new family movies arriving in the next three weeks (including Disney’s own Ralph Breaks The Internet), it’s unlikely this one has as strong of box office legs as past Christmas-themed films have experienced. Tyler Perry kicked off his long-term deal to produce films for Paramount Pictures this weekend with Nobody’s Fool, which grossed just $14 million, his third-lowest opening weekend ever despite carrying Tiffany Haddish in the lead role. This movie utterly fascinated me because, with its R-rating (something only two other of his movies have carried) and raunchy humor, it didn’t look at all like a typical Tyler Perry movie which usually carry PG-13 ratings and tidy morals. The movies underwhelming though not disastrous (it cost just $19 million to make) box office feels less like an indication of people being over Tiffany Haddish and more like it might have fallen in the territory of not appealing to his built-in audience while carrying a premise that similarly couldn’t resonate with the broader public. You would think the arrival of Bohemian Rhapsody might slow down A Star Is Born a touch, but nope, this Bradley Cooper directorial effort kept on chugging with an $11.1 million fifth weekend gross. That’s a tiny 21% dip from last weekend, better than the fifth weekend holds of Gone Girl and The Martian. A Star Is Born has now grossed an outstanding $165.6 million domestically. Right behind A Star Is Born was Halloween, which fell 65% now that its titular holiday has come and gone. Grossing another $11 million, this David Gordon Green directorial effort has now grossed $150.4 million domestically, making it the second biggest Blumhouse Productions release ever. Like A Star Is Born, Venom held extremely well this weekend as it dipped just 26% for a fifth weekend gross of $7.8 million for a domestic cume of $198.6 million. It should become only the ninth 2018 release to cross $200 million domestically sometime this week. Smallfoot actually moved up a spot in the domestic box office chart this weekend, going up to seventh place from eighth place. Chalk that up to its phenomenal 20% dip this weekend, the smallest weekend-to-weekend decline in the top 12, giving it another $3.8 million for a $77.4 million domestic gross. The arrival of new animated family movie The Grinch next weekend will likely mark the end of the road for this film, but its strong holds in the last month have been impressive. Meanwhile, Goosebumps 2: Haunted Halloween fell 49% this weekend for a fourth weekend gross of $3.7 million and a domestic gross to date of $43.8 million. In ninth place this frame was Hunter Killer, which fell 47% to gross another $3.5 million for a dismal $12.9 million domestic gross. Rounding out the top ten was The Hate U Give, which fell just 33% this weekend to add $3.4 million to a domestic haul that now stands at $23.4 million. First Man had another sharp weekend-to-weekend decline this frame as it dropped another 53% for a fourth weekend gross of just $2.2 million for a middling $42 million domestic gross. Tiffany Haddish’s other big 2018 comedy, Night School, actually held well in the face of Nobody’s Fool getting released as it dipped just 37% to gross another $2 million for a solid $74.4 million domestic gross. Amazon’s awkward release schedule for Beautiful Boy promised the film would go into wide release next weekend, but for some reason it went into a theater count just shy of qualifying as wide release this past weekend? 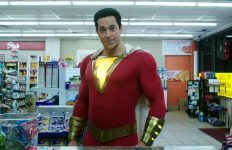 Such weird scheduling seems to have resulted in the film running out of gas as it grossed just $1.4 million from 540 locations for a per-theater average of $2,620 and a domestic total of $3.2 million. The good news is that it looks like it’ll surpass the $4.09 million domestic gross of Life Itself to become the biggest film ever for Amazon Studios as a self-distributing studio, but the bad news is that it’s still not a great domestic haul. Mid90s fell 54% in its second weekend of wide release, grossing another $1.3 million for a $5.8 million domestic total. A24 likely wanted this one to do better given the 1,200+ theater count they gave it but it’s still a decent sum for a film that was always going to have difficulty resonating with wider audiences. Can You Ever Forgive Me? grossed $1.08 million this weekend from 180 locations, meaning this new Melissa McCarthy vehicle had a $6,000 per-theater average and has now grossed $1.7 million domestically. That’s right on par with where The Old Man & The Gun was at the same point in its domestic run, though Can You Ever Forgive Me? had a higher third weekend gross and third weekend per-theater average. Weirdly, Johnny English Strikes Again, of all things, actually had a good second-weekend hold this frame as it dipped only 36% (a way better second-weekend hold than the 55% drop seen by Johnny English Reborn seven years ago) to add $1.04 million to a domestic cume that now stands at $3.2 million. In its sixth weekend of release, Free Solo finally experienced a weekend-to-weekend decline, though it only dipped 8% to gross another $1.03 million for a $6.8 million domestic haul, putting this one on track to become the newest 2018 documentary to achieve the impressive box office feat of crossing $10 million domestically. In its third weekend of wide release, The Old Man & the Gun took in another $1 million from 765 locations for a per-theater average of $1,307 for a domestic total of $9.1 million. Meanwhile, the biggest opening weekend per-theater average of 2018 couldn’t translate into major box office success in a wider release as Suspiria grossed just $964,000 from 311 locations for a per-theater average of $3,102. I’d normally say Suspiria was such a dark and gruesome title that it likely never would have found box office success, but then again Hereditary became one of the most buzzed about horror movies of 2018, so who knows, maybe another studio could have spun this into gold. Suspiria has grossed $1.1 million after ten days of release. Indivisible fell 50% in its second weekend of release, grossing another $752,000 for a domestic total of just $2.8 million. 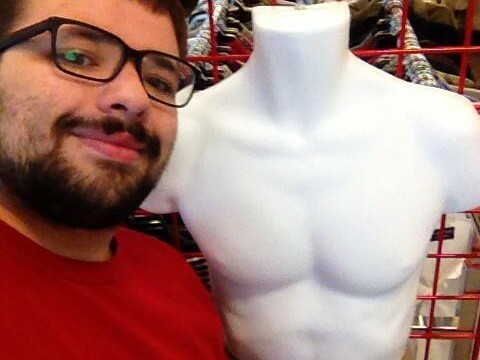 Early November can sometimes be a place where limited releases thrive in either their debuts or expansions, but by and large, as Beautiful Boy and Suspiria’s theatrical expansions have shown, it was actually a rough weekend for arthouse releases, though at least Boy Erased got off to a strong start as it grossed $220,000 from 5 locations for a per-theater average of $44,000, the twelfth biggest opening weekend per-theater-average for a limited release in 2018. That’s not a record-breaking bow, but it is ahead of what fellow early November Focus Features title The Theory of Everything opened to in November 2014. That film eventually grossed $35.8 million domestically, a sum likely out of reach for Boy Erased, but if it eventually crosses $20 million domestically, that would be a solid sum for this drama. The second biggest new limited release of the weekend Maria By Callas, which grossed $152,633 from 16 locations for a per-theater average of just $9,540. Wildlife seems to be winding down in its domestic box office run as it grossed just $128,712 from 55 locations for a per-theater average of $2,340 and a domestic total of $420,391. A Private War debuted in limited release to $72,000 from 4 locations for a per-theater average of $18,000. That’s not all that great of a start, but Aviron is pushing this one into wide release on November 16th and considering that they managed to get both Kidnap and The Strangers 2 to surpass everyone’s domestic box office expectations, who’s to say they can’t do the same with this Rosamund Pike war drama? Burning went into 6 locations this weekend and grossed $57,550 for a per-theater average of $9,592 and a domestic total of $97,299, while Border grossed $51,729 from 12 locations for a per-theater average of $4,311 and a domestic total of $160,490. Another week, another box office dud for NEON, which distributed Bodied on behalf of YouTube to the tune of only $50,000 from 14 locations for a per-theater average of just $3,609. This title got a lot of buzz out of the Toronto International Film Festival last year but all that buzz has long worn off in the massive amount of time between its premiere and actual domestic release. No word yet on the opening weekend gross of In Search of Greatness. 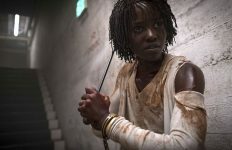 Despite the aforementioned lack of the usual movies that populate early November with massive grosses, the first weekend of November was overall a prosperous one as the top 12 movies this weekend grossed a total of $132.67 million, the second-biggest gross for any 44th weekend of any given year in history and way ahead of typical grosses for the first weekends of November. Bohemian Rhapsody opening beyond all expectations is a big reason for this occurrence, though strong holdovers like A Star Is Born are certainly helping things out. With big blockbusters like The Grinch, Fantastic Beasts 2: The State of Water and Ralph Breaks The Internet on the way, November 2018 is on its way to becoming another massive month at the domestic box office.